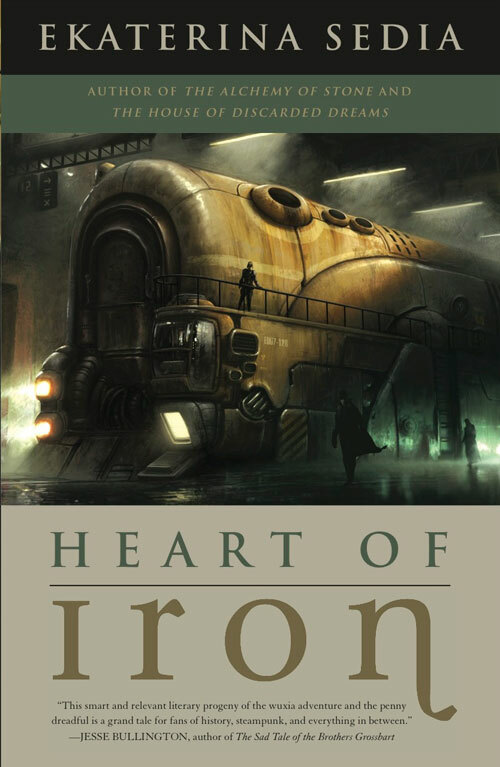 In an alternate 1850’s Russia, Alexandra Trubetskaya takes too much after her unorthodox Aunt. Aunt Eugenia may have the ear of the Emperor, but she is a brash spinster, too clever by half, and sees marriage as a waste of a good woman. Torn between tradition and opportunities that are suddenly available to women (such as attending University), Alexandra plans to have it all: an education, possibly a career, and marriage if she meets the right man. On the train to the University, she meets a young Chinese man, Chiang Tse, who is part of an Asian contingent of students also invited to study at the University. The plan of course, is for the women and foreigners to fail miserably, thus allowing the university to ban their attendance in the future. Along side the verbal abuse from other students and instructors, the women get top grades. Chiang Tse and his compatriots however, are quickly arrested for petty crimes, with one of them being thrown in prison and the rest deported back to China. 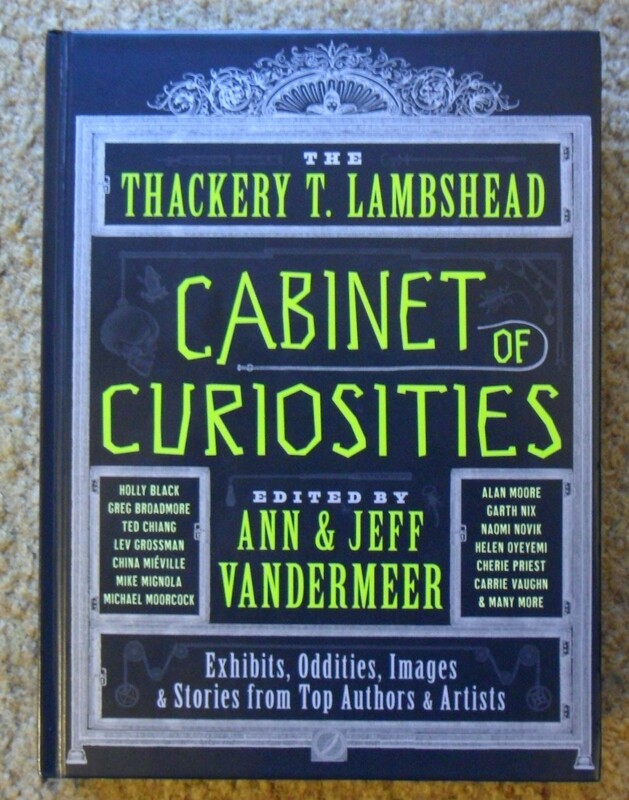 In homage of the Neatorama game that would have an utter nerdgasm if faced with Dr Lambshead’s Cabinet of Curiosities, I offer you the ultimate meta’d “What is it?” game: The Thackery T Lambshead Cabinet of Curiosities itself. Well, what is it? Exhibition? Self guided museum tour? Self referential satire? A massive inside joke? Eulogy? An unearthing of the madness of a harmless eccentric? I think a line from the movie Catch Me if You Can, (which coincidentally came out the year before Lambshead’s death) sums it up nicely: “people only know what you tell ‘em”. Dr Thackery T Lambshead was born in 1900. Trained as a physician and scientist, but a true renaissance man, Dr. Lambshead travelled the world, collecting things here and there, making sure other things got back to their home countries, filling countless diaries with descriptions along the way. Briefly married in the 1950’s, the doctor may have never fully recovered from his wife’s tragic death in a car accident. Filling his home with collectibles and oddities, and occasionally culling the collection by permanently lending items out to museums, he became more and more eccentric. After his death in 2003, appraisers made their way through his home, discovering wonder after bizarre wonder, and trying to connect the objects to descriptions and references found in Thackery’s diaries. And then they happened on the secret underground bunker, a cabinet of curiosities that made the upstairs collection look like nothing more than a museum gift shop. The Thackery T Lambshead Cabinet of Curiosities then, is a collection of remembrances of the doctor himself, descriptions (and some outright guesses) of the strange items found in his home, and most importantly it is an attempt to discover what would cause a man to fill his home with such strange and disturbing things. 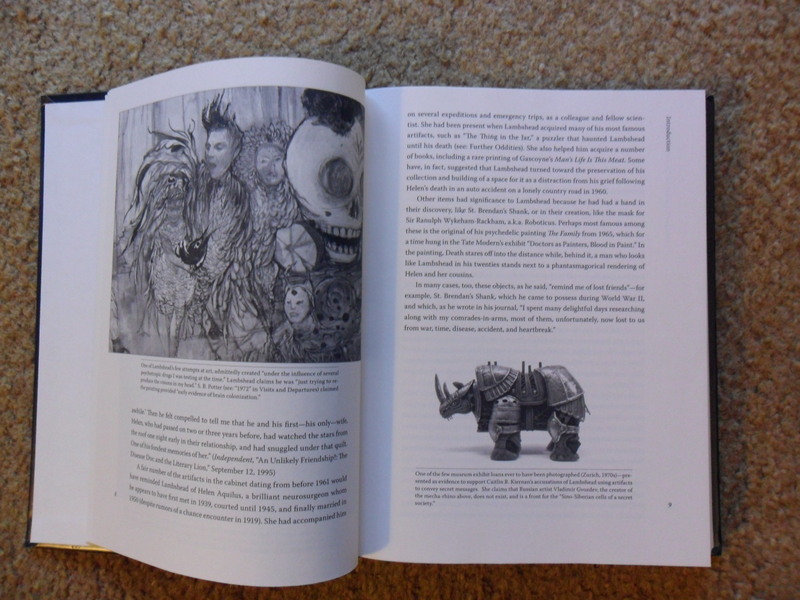 With entries by Ted Chiang, Rachel Swirsky, Charles Yu, Michael Cisco and Reza Negarestani, Lev Grossman, Naomi Novik among many, many others, along with corresponding artwork and photographs, this is a book that’s more than a book. It’s a curiosity unto itself, an experience, a portal, a self guided tour through the mind of someone whose collection created him as much as he created his collection.